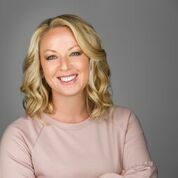 With over 11 years in the Real Estate industry, Jessica has enriched the lives of her many clients by providing a unique and customer centric experience unlike any other. She was a Broker/Owner at Realty House and has spent her time in real estate helping first time home buyers, selling upper bracket new construction, and helping median buyers move up. Jessica is a Certified Distressed Property Expert (CDPE) and has her GRI certification (Graduate of Realtor Institute). Her strong commitment to her client’s needs and innovative marketing strategies ensures the best possible outcomes. Jessica has a reputation for strong negotiating skills and unwavering ethical standards. She has been able to build a referral-based business because of her loyal clients and their continued support. Jessica was honored with the MPLS St. Paul Super Agent award for 6 years straight. She holds a Bachelor of Arts in English from St. Catherine University and graduated Suma Kum Laude. She also managed the project implementation team at a local software company during a time of 400% growth over a two year period. Jessica spent her time negotiating with executive teams and HR departments, providing escalation management, and presenting to some of the largest companies in the US. Jessica loves to travel, entertain friends and family, and cheer on her three kids while they play hockey. She spends much of her free time volunteering on the PTO at her children’s school in Lakeville and spearheading fundraising activities. She is also very passionate about helping underprivileged women and children in the Twin Cities through local non-profit organizations, by coordinating fundraising activities and chairing annual galas. Jessica is incredibly devoted to her community and feels very fortunate to have the opportunity to help buyers and sellers find their way home. Jessica truly believes that you deserve the best.